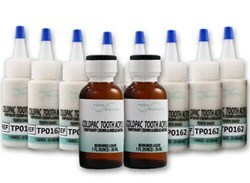 Perhaps its best known signature, ColdPac Tooth Acrylic by dental company Yates Motloid was praised in Gregory J. Tarantola’s book Clinical Cases in Restorative & Reconstructive Dentistry. There are many excellent cold-cure acrylic resins but this author prefers ColdPac by the Motloid Company. Representatives at the Yates Motloid dental company were pleased to read a positive professional recommendation of their ColdPac Tooth Acrylic in a clinical study by Dr. Gregory J. Tarantola, DDS. ColdPac is available at yatesmotloid.com. Yates Motloid has been providing solutions to the dental lab market segment for over 50 years. All products have been developed, manufactured, tested, approved, and used by many of the leading dental schools and labs throughout the world. Yates Motloid is ISO 9001:2008 and ISO 13485:2003 Certified.